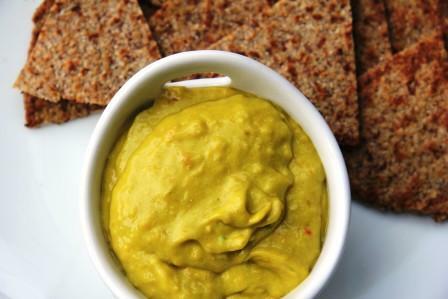 A bright and colourful dip made with avocado and mustard. 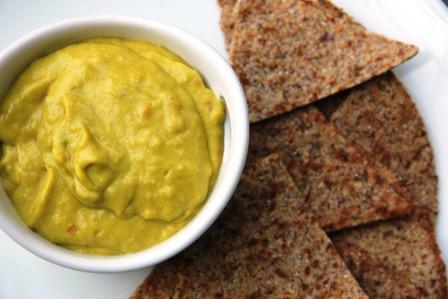 Only 4 ingredients are needed to make this tasty and quick dairy free dip. 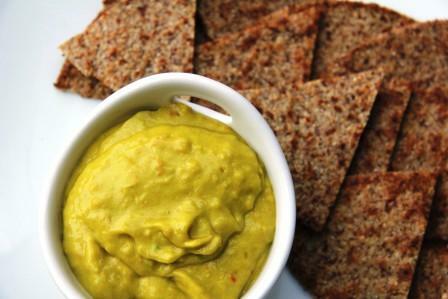 Although the colour of this avocado dip can look a bit off-putting due to the mustard, try some as it is delicious. I’ve made this with various brands of Dijon mustard and found that there is quite a colour variation from an olive-green to a suspicious brown. It all tasted delightful though with a slight tang due to the mustard. 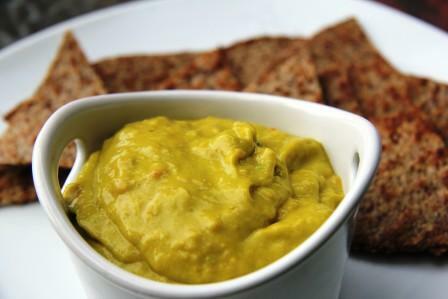 If you enjoy the flavour of this dip, it can be a sneaky “keep to yourself” in the hope that others are put off by the colour and there’s more for you! 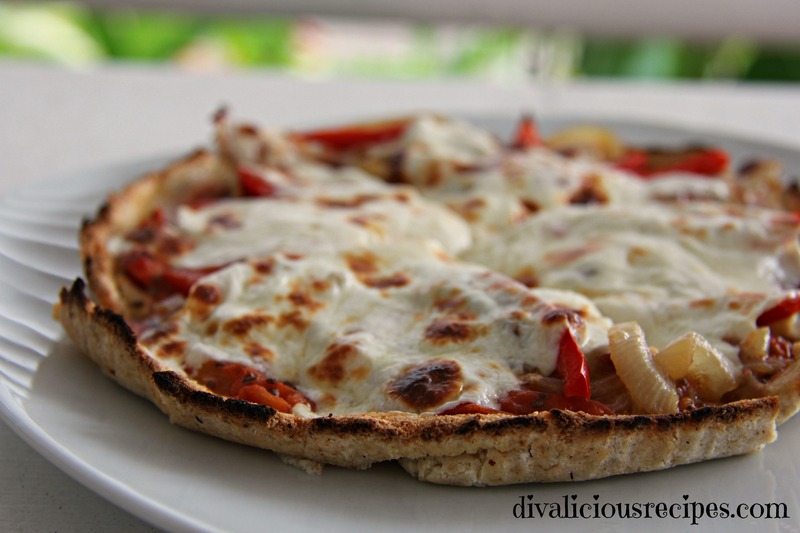 Make this an hour before serving for the flavours to develop. 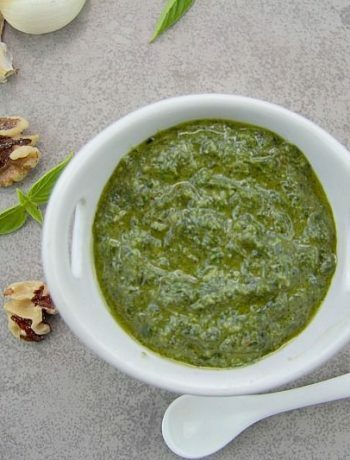 And for you to stare at it, thinking “eerm, not sure about the colour of this”… As well as a dip, I use this as a spread in my wraps/sandwiches. 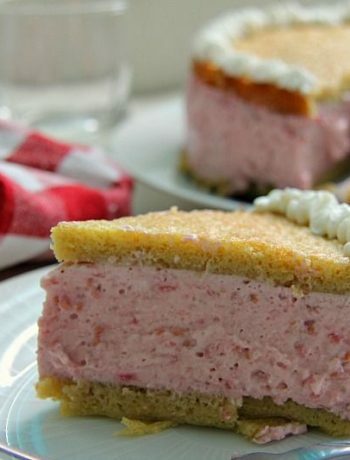 Place all the ingredients in a food processor or hand blender and blitz until smooth. Glad you enjoyed it and was not put off by the colour! Wow- this looks like a phenomenal condiment! !